Discover how to get a super-solid short game in this exclusive video series with Sean Foley. The best instruction in golf at your fingertips. Plus, exclusive content from Rory McIlroy, THE PLAYERS Champion. Learn how to be more consistent with your short game in the all-new Foley Factor: Short Game video series. See how you can learn, play and save on golf. Try it free for 7 days. Gain consistency and an extra 10-25 yards off the tee! GOLFPASS members gain access to more than 1,700 instructional tips and coaching plans from the same coaches the pros rely on. Let us help you take your game to the next level. Our vast library of golf instruction is easily searchable by shot type, skill area, coach and more. It’s available 24/7 on any device, so you can find what your game needs, when you need it. And, GOLFPASS members get unlimited access to every single tip and coaching plan we have. Our faculty have selected a few of their favorites, to get you started. 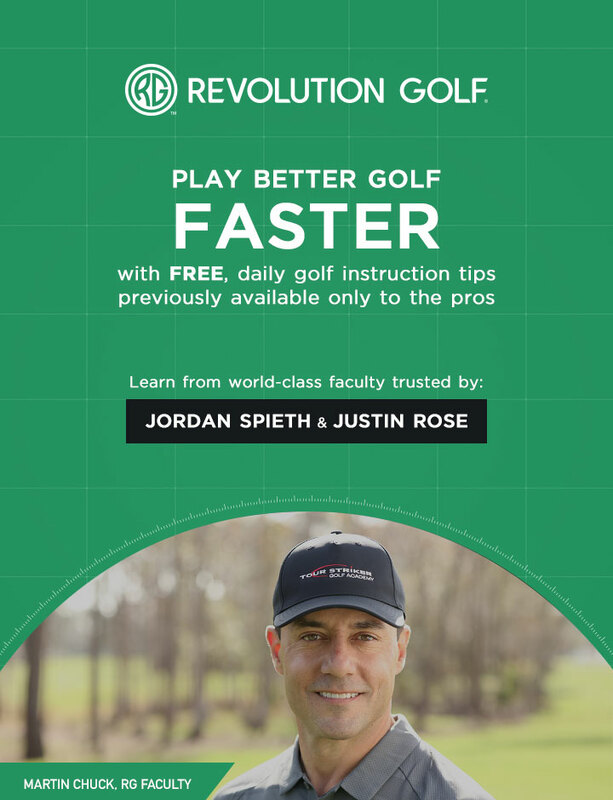 Revolution Golf presents over 400 world-class coaching videos from faculty like Martin Chuck, Sean Foley, and Andrew Rice. These videos are designed to improve your game with simple and insightful instruction. Get a front-row seat to the best golf instruction available on your iPhone®, iPad®, or Apple TV®. Access over 400 world-class coaching videos from our faculty. Get a personalized experience with recommended videos based on your golf assessment and individual playing ability. Focus on specific areas of your game including Driving, Approach Shots, Putting, and Bunker Play. Watch Golf Fitness, Practice and Strategy videos off the course to improve at any time. Monthly updates provide you fresh, new video content every month. Favorite your most helpful videos for easy access and ongoing improvement. Rate videos to identify the most useful tips for all Revolution Golf members. Stream videos for a reliable, consistent, and ad-free viewing experience.